Our store is much bigger than it looks! 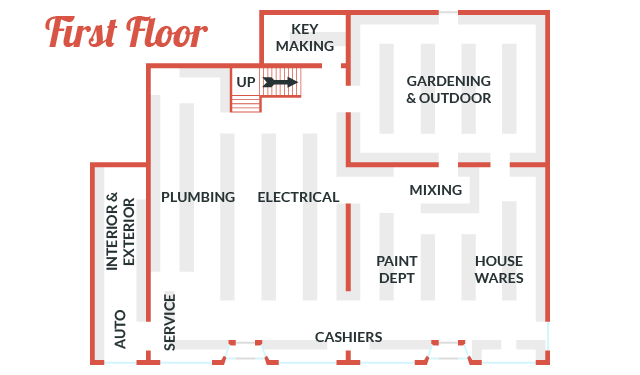 With two floors to explore, we are very literally stocked-to-the-rafters with home improvement products. Friendly and knowledge staff are always on-hand to answer your questions and lend advice for your current and future projects. There is a very good reason why our customers say “If it isn’t at Durfee’s, then you don’t need it”. 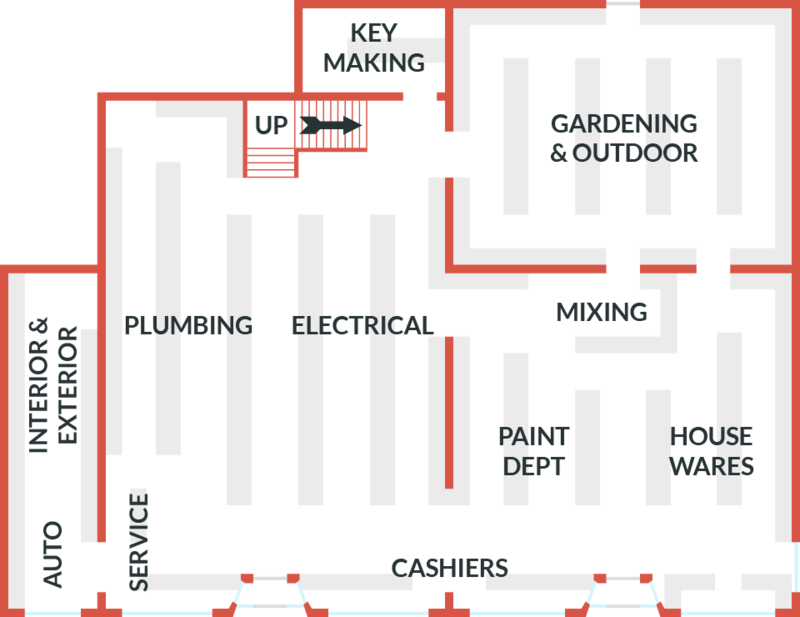 Navigate through our store using the map below. Click on any department to learn more about our inventory and services.